Pelican Pointe Golf & Country Club is a 27 hole championship facility opened in 1995. The three nines blend well and wind through nature preserves and lakes offering the golfer glimpses of a number of different birds and wildlife. 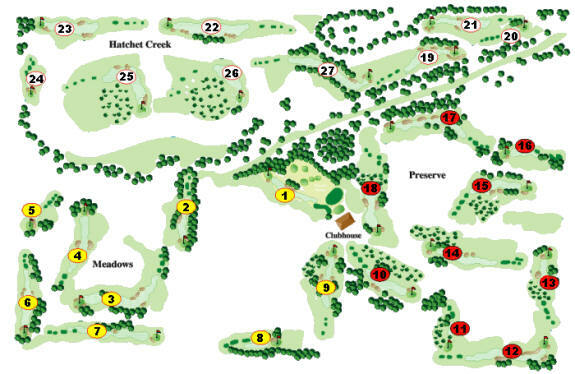 The course also has an ample number of strategically placed bunkers and waste bunkers. Every hole presents an invitation to test their skills. Our practice area features grass hitting stations, a 5,000 sq. ft putting green, a chipping green, and a bunker green.